Welcome Home to this spacious duet! Features include a formal living and dining room filled with natural lighting, plantation shutters and vaulted ceilings. Your updated eat in kitchen includes stainless steel refrigerator, microwave, gas stove/double oven and Bosch dishwasher. The kitchen opens up to the family room and provides easy access to the backyard. Upstairs you will find a master suite w/ 2 closets, vaulted ceiling, modern ceiling fan and plantation shutters. In addition you will find 3 other bedrooms (one is currently set up as a bonus room), main bathroom, and views of Mt. Diablo! The meticulously kept backyard has a custom deck, artificial grass, views and no immediate rear neighbors. The home has dual pane windows, a newer energy efficient hvac system, indoor laundry, and 2 car garage with storage. 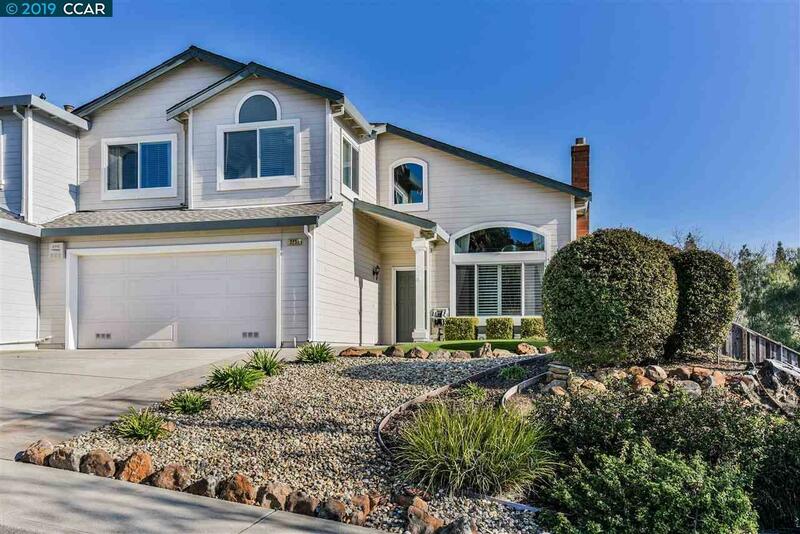 You are minutes away from freeway access, shopping, park and walking trails. Listing courtesy of Laurie Wotus of Keller Williams Realty.